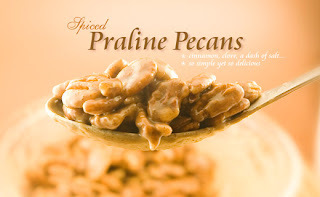 Crazi Beautiful Women has an incredible recipe for Spiced Praline Pecans on their website right now. Doesn't that picture just make you drool and want to run to the store to buy all the ingredients and get cookin'? Yum! I hope you're enjoying the holidays! I have actually never tried a praline. I know! Shocking! New Clicks for Charity Winner!